In 1981, Elizabeth Glaser received blood transfusions following the birth of her daughter Ariel. Then, in 1986, two years after her second child, Jake, was born, tests showed that Ariel had AIDS, contracted through breast-feeding. Elizabeth and Jake tested HIV positive, and Glaser's husband Paul, of TV's Starsky and Hutch fame, is today free of the virus that killed Ariel at age seven. 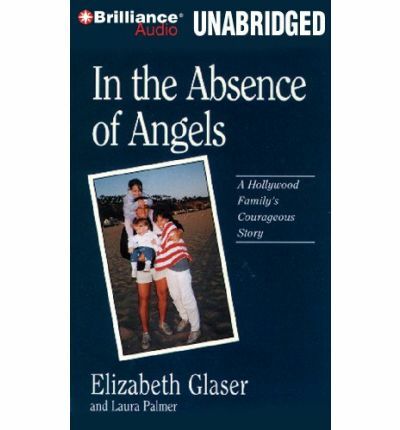 Well aware of the stigma of AIDS, the Glasers retreated behind a wall of secrecy to protect their family. Only when the National Enquirer threatened to invade that privacy, did the Glasers "go public." Despite the book's title, In the Absence of Angels is a heartwarming story filled with angels - generous, caring, imaginative people who listened and helped. Note: This is in mp3-CD structure. This means it will only run on a cd player specifically fitted to run mp3-CDs. It also can be installed onto a computer and duplicated over to varied mp3 players and played on them.